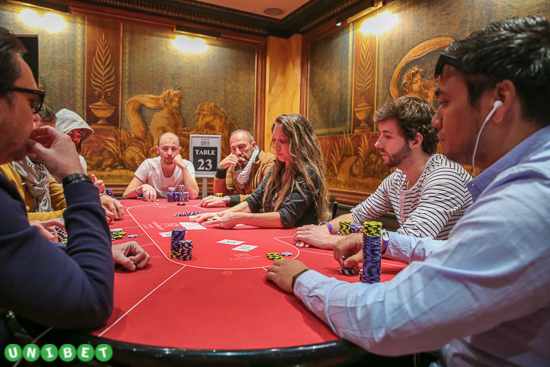 G erman player Akin Tuna is leading the final 16 players at Unibet DeepStack Open Cannes. The EPT Dublin High Roller runner-up, who already has more than $400k in live tournament winnings, has 4,085,000 ahead of Unibet.fr player Krzysztof Idziak on 2,855,000. Idziak, who hails from Poland but now lives in France finished 29th at Unibet Open Bucharest in December. All 16 remaining players are guaranteed €2,350 but chasing a first prize of €35,690. There were 414 entries in total for Unibet DSO Cannes 2017 creating a €194.580 prize pool; 44 players are getting paid. The €550 Main Event was a re-entry, with three start flights. This is the tour’s seventh consecutive year at Casino Cannes Croisette. Slovakian player Matuš Gabzdil won the first Unibet DeepStack Open in Bratislava for €11,766, by far his biggest cash to date. There were 86 entries creating a €40,866 prize pool with 11 players paid. Last year UDSO regular Jacob Ansellem beat a 550-entry field to win the event for €40,000; he had finished fourth the year before.